Having a beautiful smile is important no matter who you are. It’s never too late to finally achieve the confidence of having beautiful teeth with our comprehensive cosmetic dentist services in Pleasanton, CA. At Amador Dental & Orthodontic, cosmetic dentist, Dr. DeVinney, offers comprehensive cosmetic solutions to help you mask the appearance of dark, discolored, or irregularly shaped teeth. Our cosmetic dental procedures can rejuvenate your aged looking smile or change those little things that have always bothered you about your smile. Some of our patients even completely transform their smiles with cosmetic dentistry! Veneers offer the most dramatic transformation possible, as they cover the front of your teeth completely, providing a perfectly white and uniform appearance and hiding all irregularities. Tooth-colored materials (similar to white fillings) can be used to cover minor discrepancies such as chips or gaps in your teeth. In many cases, numbing or adjusting the tooth isn’t even necessary for dental bonding. If you feel your smile is overshadowed by too much gum tissue, Dr. Rondon has a variety of treatment options available. Once your treatment is completed, more teeth and less gum show when you smile. The procedure can also improve your overall gum health. 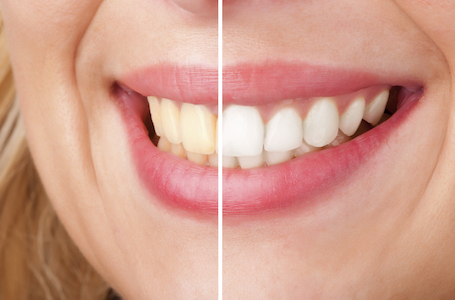 At Amador Dental & Orthodontic, we offer ZOOM!® laser teeth whitening treatment. The whitening procedures take about an hour, but Dr. DeVinney always recommends an exam and cleaning before the whitening so you get the best results possible. Ready to reveal your best, brightest smile? Call Dr. DeVinney today at our Pleasanton dental practice to schedule your cosmetic dentist consultation! Are you missing one or more of your teeth? Restorative dentistry can repair and restore the natural look so you can smile with confidence again. At Amador Dental & Orthodontic, we provide compassionate, comprehensive dental care for your entire family. New patients are always welcome and financing is available.